Draft State allows content in Quizzes to exist in an unpublished (draft) state. Unpublished content is invisible to students, and graded quizzes are excluded from grade calculations. Note: If you use Modules in your course and add a Quiz to a Module, please be aware that the state of the Module overrides the state of all module items. You may want to consider leaving Quizzes unpublished until you are ready to publish the entire Module. For more information please see the Modules Draft State lesson. On the Quizzes Index page, you can view the status of each quiz. Green icons indicate the quiz is published . 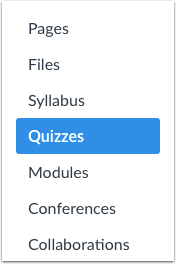 Gray icons indicate unpublished quizzes . You can change the status of a Quiz by toggling the published and unpublished icons. To publish a quiz, click the unpublished icon. The hover text will confirm you want to publish the quiz. To unpublish a quiz, hover over the published icon and view its status. If the quiz can be unpublished, the hover text will confirm you want to unpublish the quiz . Click the icon to confirm. 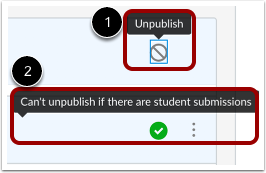 Quizzes with student submissions cannot be unpublished, and the hover text will notify you accordingly . Within individual quizzes, the quiz status is shown next to the quiz options. To publish a quiz, click the Publish button. The button will change from gray to green. To unpublish a quiz, hover over the published button and view its status. If the quiz can be unpublished, the hover text will confirm you want to unpublish the quiz, and the button will change from gray to red. Click the button to confirm. Quizzes with student submissions cannot be unpublished. Students cannot see any of the actions involved with Draft State, such as published and unpublished icons and setting icons. 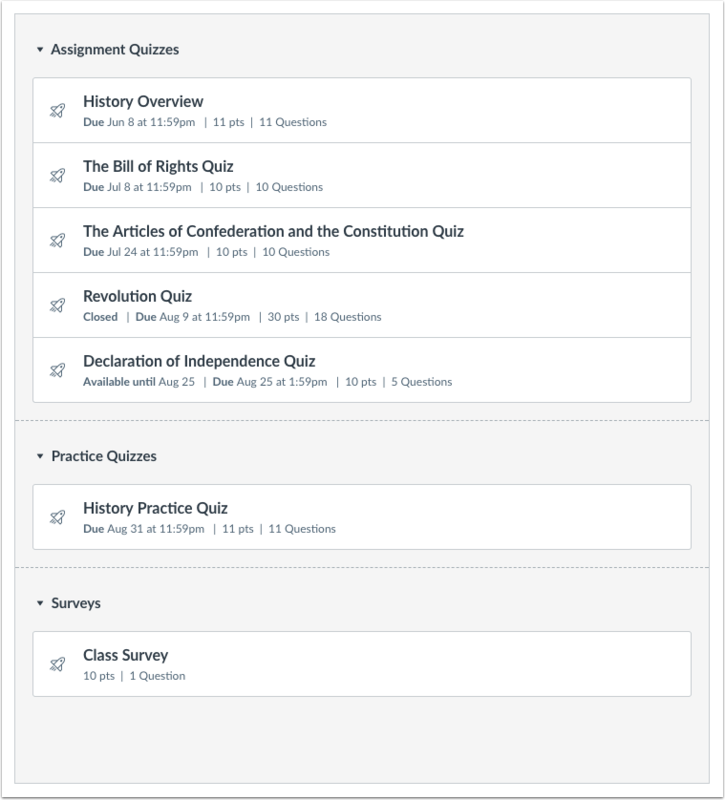 Students will only see published quizzes, which are posted in gray text. Previous Topic:How do I use the Quizzes Index Page? Next Topic:What quiz types can I create in a course? Table of Contents > Quizzes > How do I use Draft State in Quizzes?